Motorists are advised to brace for hazardous road conditions on Thursday. 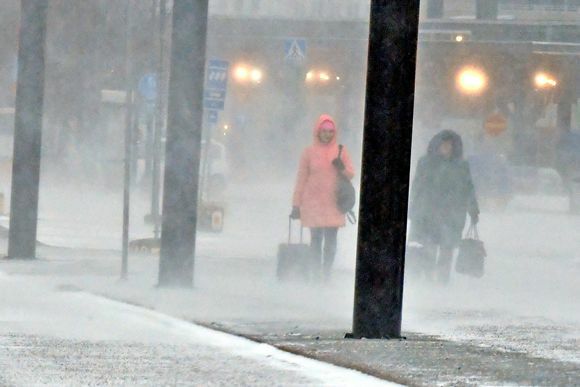 Southern Finland will receive at least 10cm of new snow by Thursday morning, predicts Yle meteorologist Joonas Koskela. He recommends allowing plenty of extra time for travel on Thursday. A low pressure system will move swiftly over southern regions, bringing strong winds and blizzard conditions. Snowfall will begin along the south-western coast on Wednesday evening, possibly coming down as sleet in some areas. “The whole south coast should get 15-20cm of fresh snow. By Thursday morning’s rush hour we’ll have around 10 cm,” Koskela says. The Finnish Meteorological Institute warns of extremely poor driving conditions in southern Finland beginning in the wee hours of Thursday. Roads may also be slippery in parts of central Finland. By Thursday evening, the belt of snow will move over south-eastern and eastern Finland before disappearing. According to Koskela, Friday will be a normal cold winter day.